When fluid dynamics comes up against capillarity, a wide range of interesting phenomena results. This talk describes three intriguing and unexpected experimental observations for which a quantitative understanding remains to be developed. Even if you know nothing about fluid mechanics, you will be intrigued by the videos! Oil drops in water can be deformed with optical tweezers if the interfacial tension is sufficiently low. When a single droplet is pulled apart, the two daughter droplets remain connected by an invisible thread of oil which can be arbitrarily long and does not undergo a Rayleigh instability. Liquid can be pumped through these nanothreads using laser beams as suction pumps. Tracer particles are widely used to visualise flows. At low Reynolds numbers it is widely assumed that the tracer particles follow the streamlines. If one watches the drying of an ink composed of a solvent mixture, however, tracer particles rapidly migrate across streamlines to form a particle-rich phase in the shape of a mill stone. 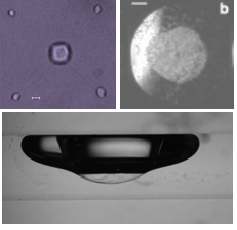 A simple experimental method for measuring low interfacial tensions between oil and water is to measure the thickness of a captive droplet of oil in a glass cuvette. In the presence of a surfactant, SDS, and cosurfactant, butanol, the oil droplets undergo a remarkable process in which a water droplet grows inside an oil droplet until it bursts through the oil droplet under gravity before the process repeats itself, cycling regularly for an hour. Colin Bain completed a BA in Natural Sciences in Cambridge, England, and a PhD in Physical Chemistry at Harvard University under the supervision of Prof. George Whitesides. He returned to the UK as a Royal Society Research Fellow in Cambridge before moving to Oxford as University Lecturer and Fellow of Magdalen College in 1991. He has been a Professor of Chemistry at Durham University since 2005. From 2008–12 he was the Director (Science) at the Institute of Advanced Study. Since 2015 he has been Dean for Research at Durham University. His research lies at the intersection of physical chemistry with physics, engineering and biology. While broadly in the field of ‘wet surface chemistry’, his interests range from the break-up of jets to drying of droplets on surfaces, from phase transitions to adsorption kinetics, from tertiary oil recovery to model cell membranes. 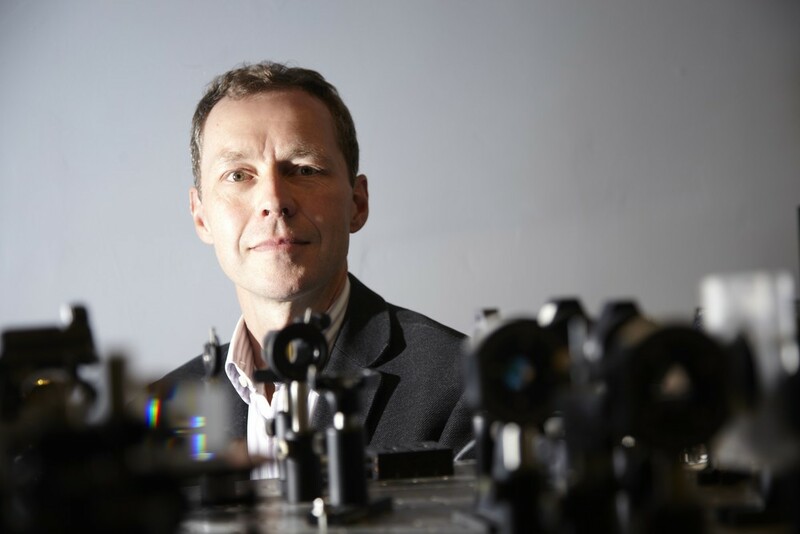 Much of his work is collaborative within Durham (Physics, Chemistry, Mathematics & Engineering), the UK (Oxford, Cambridge, Imperial, Nottingham, Leeds, Glasgow) and around the world (USA, India, Japan). He collaborates widely with industry in the UK, Sweden and Japan. His research has been recognised by both national and international awards, including the Corday-Morgan Medal (2000), Tilden Prize (2008), Thomas Graham Lecturer (2011), Craig Lecturer (ANU, 2008), McBain Lecturer (National Chemical Laboratory, Pune, India, 2005), Lectureship Award of the Japanese Chemical Society (2005) and Fellow of the Society of Applied Spectroscopy (2014). He served for 12 years on the Editorial Advisory Board of Langmuir and was a founding editor Soft Matter. He has published around 160 papers with >11,000 external citations and an h-index of 42.